On 6 - 12 October 2017, the Third German-Ukrainian Forum of Food Products was held within the framework of the international exhibition "ANUGA 2017" (Cologne). The forum was held by the project "Agritrade Ukraine" with the support of the Kiev Chamber of Commerce, Chamber of Commerce and Industry of Ukraine, the German-Ukrainian Chamber of Commerce and Industry, the Consulate-General of Ukraine in Duesseldorf, the Chamber of Commerce and Industry of Duesseldorf. During the whole event, the participants had the opportunity to visit one of the largest international exhibitions "ANUGA 2017" and to get acquainted with the latest trends in the food market. On 7 October, the German-Ukrainian B2B forum took place at the conference hall of the exhibition center «Kölnmesse».with the participation of Ukrainian producers (Fores, West Berry, Veres, Chumak, etc.) and representatives of German companies, Deputy Minister of Agrarian Policy and Food of Ukraine Olga Trofimtseva , Director of the Department of Policy "EU Policy, International Cooperation, Fisheries" of the Federal Ministry of Food and Agriculture of Germany, Mr. Herman Yoib, Chairman of the Board of the German-Ukrainian Chamber of Commerce and Industry Alexander Markus and the official representative of METRO network Yvonni Bolov. On 8 October at the Ukrainian stand of the Kyiv Chamber of Commerce and Industry, a "Ukrainian Evening" was held for all interested parties, where participants had the opportunity to speak with each other in an informal atmosphere. The third day of the forum (9.10.17. 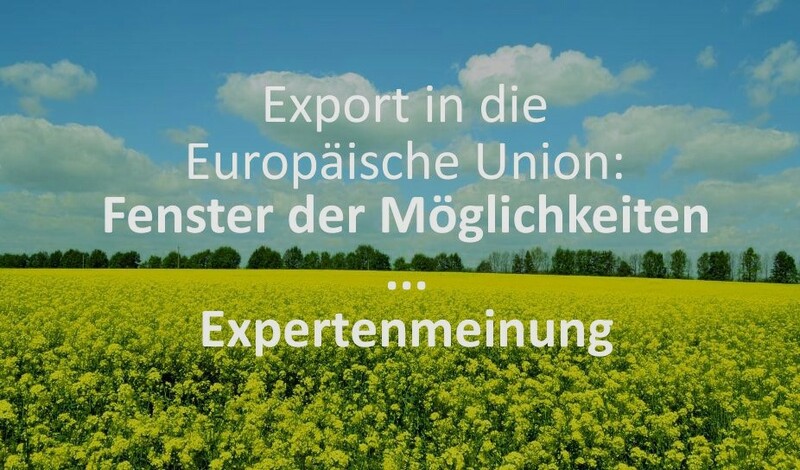 ), was dedicated to the visit of the consulate general of Ukraine in Duesseldorf and the Chamber of Commerce and Industry of Duesseldorf with the participation of Ukrainian and German companies in order to present the potential of Ukrainian producers,to establish contacts and to increase interest in national food producers. The final point of the program was at the last day of the forum, on 11 October. The Leader of the project "Agritrade Ukraine" Andre Pilling conducted a store-check in one of the biggest supermarkets "EDEKA". After that participants had a meeting with the general manager of the department of food and director of procurement network "METRO". Network representatives familiarized the Ukrainian delegation with the principles of network operation, main trends among buyers, as well as the situation with the supply of products from Ukraine and opportunities for our producers.